History I am the second owner of Van Tan. 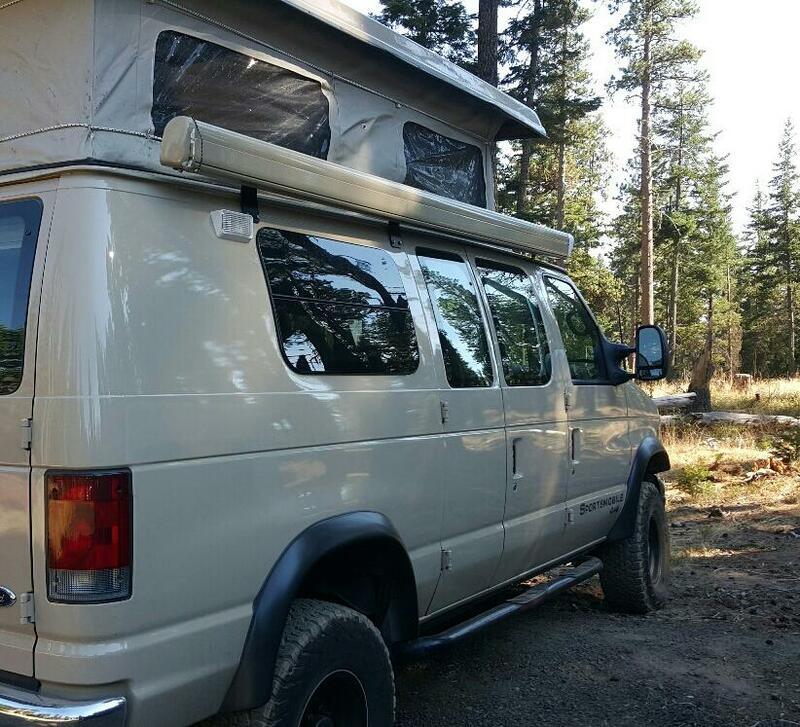 I purchased Van Tan in the spring of 2015 with only 62k miles from a guy in Seattle off Craigslist. 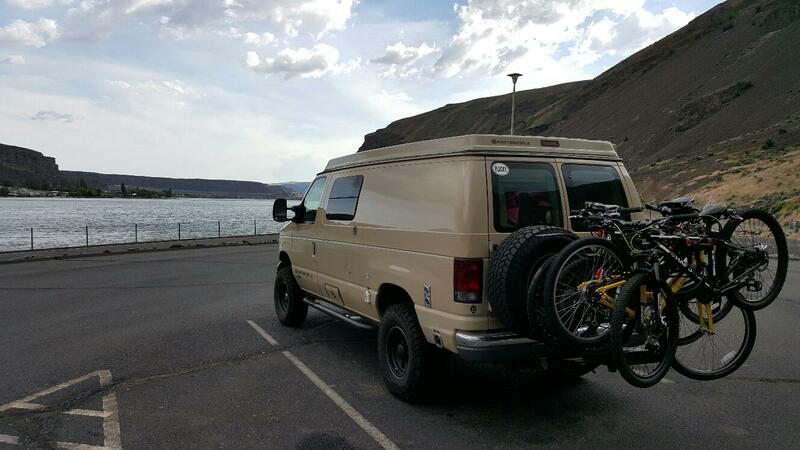 I used to work for Quadvan in Portland building 4x4 vans and I have wanted a Ford based van ever since. After owning about 30 VW Vanagons of all verities, I decided that a 4x4 Diesel SMB was the way to go. 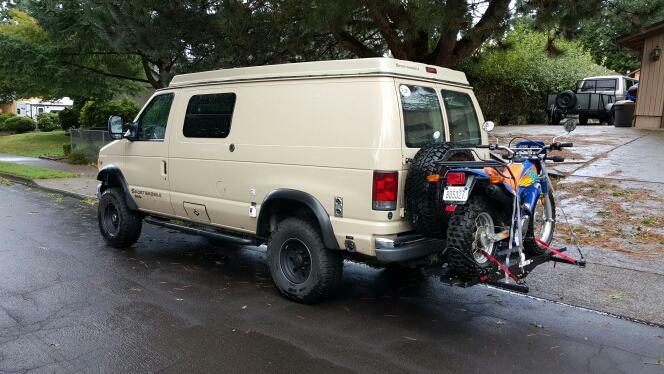 I was really wanting a Quadvan 4x4 but I got an excellent deal on my 7.3l Quigley. So far I just atted the power tow mirrors, fender flares, and window tint. Aluminess bumpers and roof rack in the future. Hopefully the Agile RIP system when I can get on the list. Original for now. Upgrades in the future will be, upgraded turbo, full exhaust, and a programer. 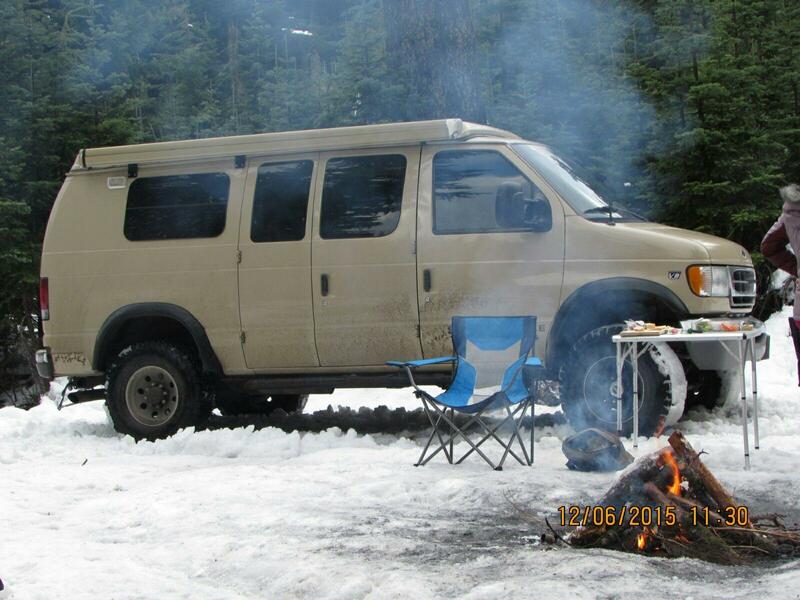 Full custom audio, security with gps tracking, and overland solar system. LED interior lighting. Backup camera and mirror replacement. Headlight upgrade in the near future. I was there in 2002 and in 2007. My experience was that the food was imaginative, fresh, and skillfully prepared. Only one experience with hum-drum food. The northland, especially the Bay of Islands is one of the most beautiful places I've been. Intensely green land and turquoise sea. Oysters are farmed in the bays and are the freshest I've ever tasted. Keep in mind that outside of Auckland New Zealand is very small town. They tend to roll up the sidewalks around 5 or 6 pm. Get everything you need before then. Also check out the ferry rules if you want to take your van on both islands. For rental cars one drops off a north island car in Wellington, and picks up a new car for the south island upon arrival. Obey speed limits. Be watchful for natives that don't obey speed limits. I saw some pretty awful crashes. If you want to hike one of the famous treks (Routeburn Track, Milford Track for example) you will need to get reservations for the huts. Reservations open six months in advance of the season and go quickly. Research early and be prepared to act. The Tongariro Alpine crossing on the north island is also a great hike. A trip to Milford Sound or Dusky Sound is not to be missed. The drive into Milford Sound is through park land and is beautiful. Kayaking in Abel Tasman National park is great. Arthur's Pass is nice if you have lots of time. If time is limited take a pass on it. Definitely drive up to Mount Cook. The drive alone is worth it. Spend a couple of days in Queenstown. There is a lot to do. Christmas through the end of February is the peak vacation season for natives. Keep that in mind.